Last September President Obama signed into law the Leahy-Smith America Invents Act which amounted to the most sweeping reform to U.S. patent law in almost 60 years. With large industry support from the likes of Apple, Facebook and Google, the Act passed by wide margins in both the Senate and the House prior to becoming law. The Act sought to bring our outdated body of patent law up to speed with today’s technology. Proponents of the Act are hopeful it will reduce the costs of litigation, promote increased innovation, and bolster sagging U.S. job growth. Although the so-called “first to file” provision has grabbed the spotlight, the Act includes other important reform measures that arguably demand serious consideration from those practicing in the field.One of those measures is the new “Joinder of parties” provision which went into effect last September at the time the Act was signed into law. The Joinder of parties provision amends Chapter 29 of title 35 of the United States Code by adding certain conditions which must be met prior to joining defendants in an infringement action – specifically, accused infringers may be joined as defendants only if the allegations: (1) relate to the same accused product or process, and (2) involve questions of fact common to all defendants. Perhaps most interesting, the new provision also states what allegations are not sufficient for the joining of defendants in a single suit – accused infringers may not be joined in one action as defendants based solely on allegations they each have infringed the same patent or patents at issue. What might the Joinder of parties provision mean for attorneys and the courts? The Joinder of parties provision was intended to curtail what some claim to be an abusive tactic in infringement actions – that of joining unrelated but allegedly infringing defendants in a “shotgun-style” approach. 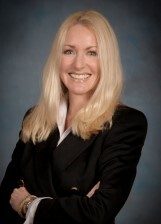 Noted in a recent article published on January 23 of this year by The National Law Journal, filings involving multi-defendant cases by non-practicing entities spiked dramatically just before the provision became law in a race to file as many multi-defendant cases as possible prior to the Act’s passage. So, clearly those with a stake in the outcome are paying attention. One could argue the new Joinder of parties provision will cause the overall number of infringement filings to jump in the future. According to numbers tracking non-practicing entities in the same article in The National Law Journal, for October, November and December of last year – the three months following the month the Joinder of parties provision became law - the average number of defendants per lawsuit showed a decrease, while the total number of lawsuits filed showed an increase as compared to earlier months. Since the Joinder of parties provision now plainly states that plaintiffs are restricted from joining defendants based solely on allegations they have infringed the same patent in the suit, it stands to reason the number of single filings will increase in response. In addition, for judges that are currently hearing multi-defendant infringement cases, and for future cases involving multiple defendants, surely a fair amount of pre-trial time will need to be devoted to sorting out those that may be improperly joined and fleshing out the application of the Joinder of parties provision. One such case has already come down the pike - in a December 2011 infringement action decided by the U.S. District Court for the Northern District of Illinois, the court directed dismissal without prejudice of two of the defendants based on the argument that defendants were unrelated companies and had nothing in common but for the allegation they had infringed the same patents. Although the case was filed prior to the Joinder of parties provision becoming law, the Judge included a note that his decision was consistent with the Act. Whether you like the new Joinder to parties provision or not – most would agree that sweeping reform of patent law was necessary to keep the U.S. competitive in the global marketplace. According to information released by the U.S. House of Representatives Judiciary Committee, last year China was projected to bypass the U.S. and Japan to become the number one patent publisher in the world. U.S. patent law has been criticized as inefficient, and the numbers released by the Judiciary Committee last year backed that up – for example it takes approximately 3 years to get a patent approved in this country with approximately 1.2 million patents pending approval. As for the new Joinder of parties provision - it’s too early to definitively determine what effect, if any, it will have in the industry. How all this affects litigation case load, costs, strategies, and venue is yet to be seen. One effect may be to thwart the Act’s intended purposes by increasing the costs of litigation, slowing down infringement cases, and over-crowding judge’s dockets. We’d love to hear your comments about the new Joinder of parties provision. Do you think it makes sense? Why or why not? Will it work to curtail “shotgun filings,” or just create a crowded docket? Would you find it useful to read about other practical but less publicized reform provisions contained in the Act? A more interesting change, at least for people who actually make things, is the independent invention defense: if you've practiced an invention for more than 1 year before a filing, even in secret, you don't infringe (at least that's what I understood from a lecture I attended). To any ordinary sensible person, independent invention should invalidate the patent: it was obvious after all. But rendering it non-infringing is a big step in the right direction. Thoughts?